The Sun, Times, Guardian and Mail are among those that cover the return of the blue and gold passport design. The new passports will be introduced from October 2019 with a number updated security features, making it one of the most secure travel documents in the world. 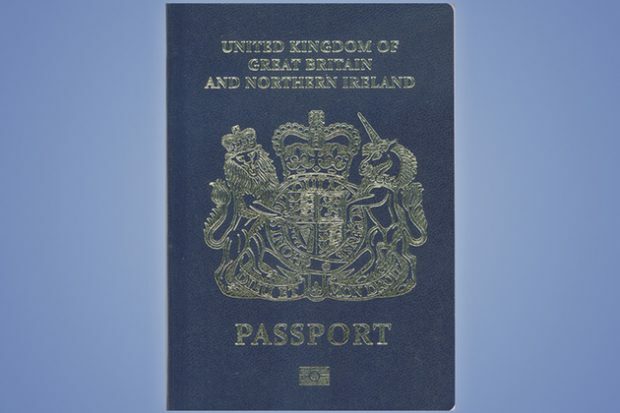 The updated passport will cost £72.50, which is the same amount as the current burgundy passports. The Immigration Minister’s response to the story can be found below, and the full press release from the Home Office can be found here. It will also be one of the most secure travel documents in the world, with a raft of new security measures to protect against fraud and forgery. The Times and Guardian cover the criticisms a judge has made about UK border security and laws relating to gun control. Judge Richard Bond sentenced Paul Edmunds, an antique firearms dealer who provided guns and ammunition linked to more than 100 crimes, to 30 years in prison yesterday. According to both pieces, Judge Bond is “aghast” at “lax” border and security checks, as well as legal loopholes on antique firearms. The UK has some of the toughest gun laws in the world. We are determined to keep it that way, which is why we are strengthening firearms controls further, including those relating to antique firearms, to stop them falling into the hands of criminals. Furthermore, we have updated our training and guidelines for frontline Border Force officers on the checks required for declaring antique firearms. We work with other law enforcement agencies, using intelligence and advanced technology, to detect and stop dangerous weapons at the border. Border Force targeted operations and routine searches led to the seizure of over 400 firearms and over 1,500 items related to firearms last year.